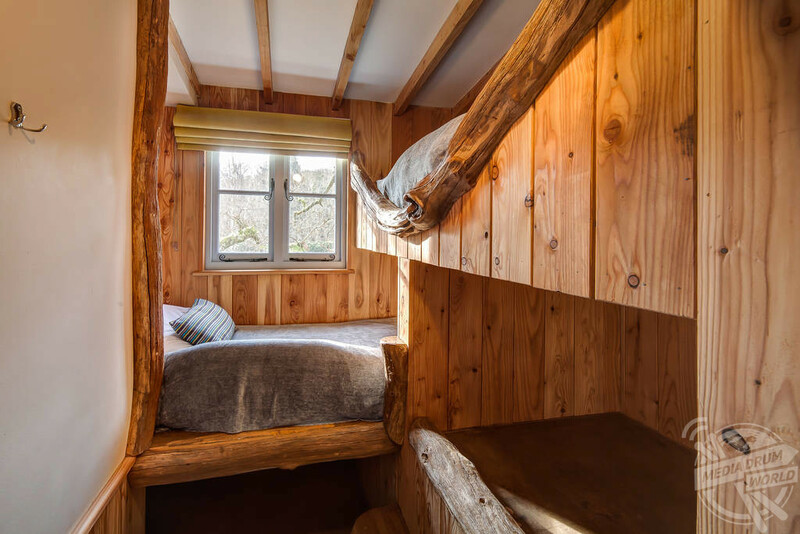 CHECK OUT this sensational property which at 50 square-feet is said to be Britain’s largest treehouse, capable of accommodating a family of four deep in the beautiful Devon countryside and available to rent from just £270 per night. 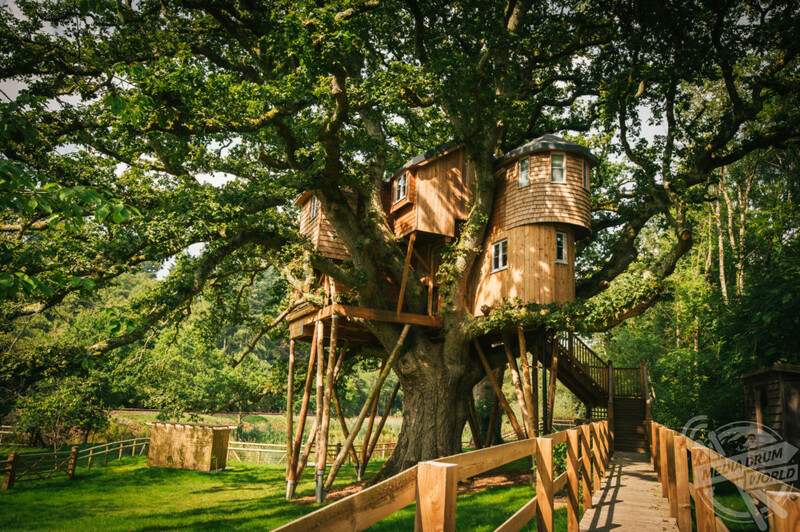 Treetops Treehouse is designed around a huge 250-year-old Oak Tree in the grounds of the Fox & Hounds Country Hotel in Eggesford, Devon. 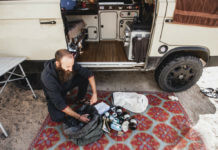 Spectacular photos from the exterior show that Treetops is no ordinary treehouse, with its’ two storeys more reminiscent of a property you’d expect to see on the ground as opposed to its position tens of feet in the air. 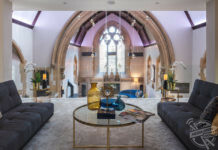 Photos from inside reveal a cosy yet spacious living area where you’d never guess the type of property you were in until looking out the window. 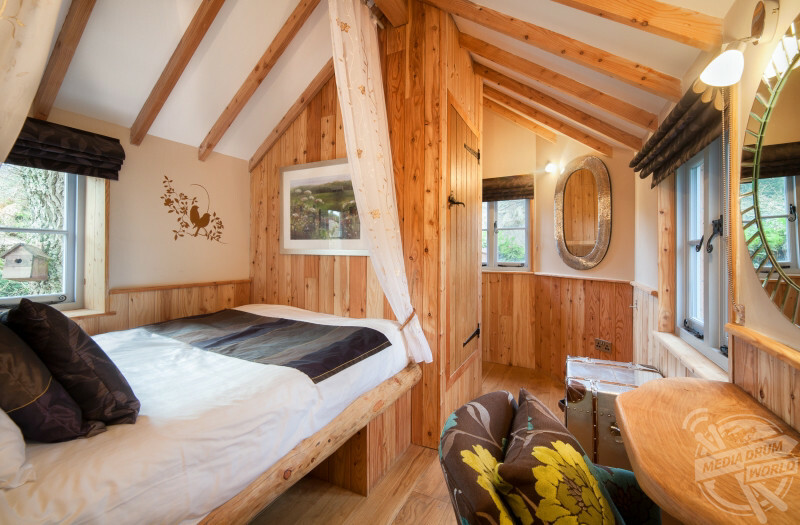 Whilst this property is perfect for a romantic summer getaway, it’s equally suitable for a family of four as a few steps down from the king-size master bedroom are beautiful bunk beds complete with a ladder that has been expertly crafted from tree branches. 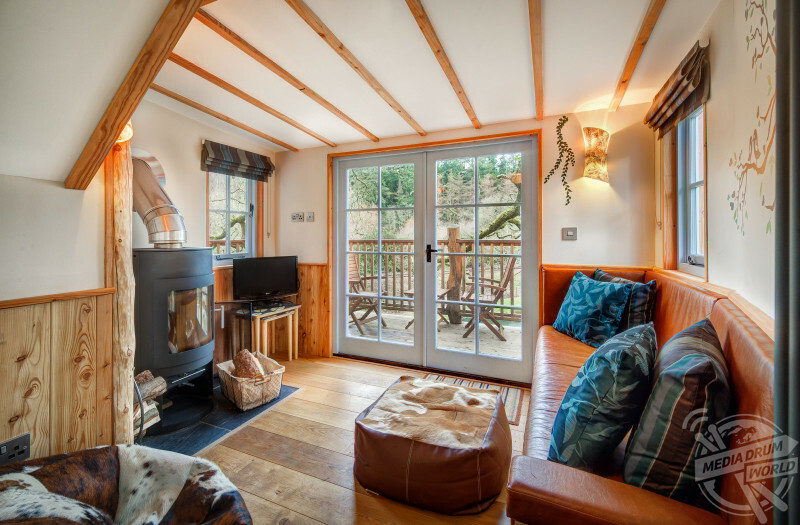 Downstairs guests will find the snug lounge area complete with an impressive giant log burner to stay nice and warm during those long relaxing evenings, or if the weather’s nice why not throw open the French doors and spend some time on the terrace overlooking the fishing lake and Heywood Forest. 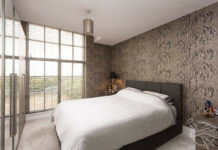 This floor is also home to the kitchen and dining area that comes complete with all the essential appliances along with wonderfully crafted work surfaces and dining table, whilst the bathroom, featuring the most gorgeous tin bath where guests can slip away into a bubbly bliss is also nearby. 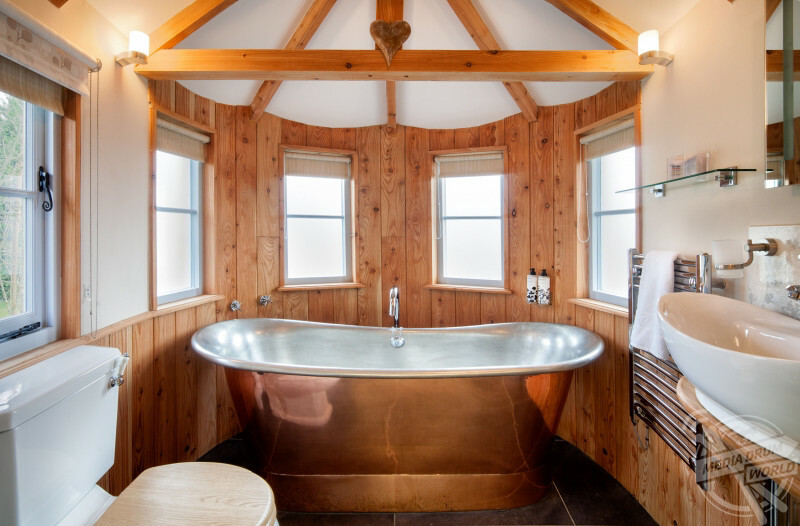 Owner of the property, Tara Culverhouse said: “The treehouse is four years old now, it is truly unique and the largest of its kind in the UK and suitable for anyone at all. 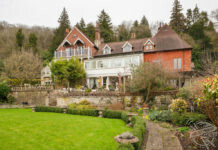 “It is actually built into the crown of the oak tree so the branches form part of its design. 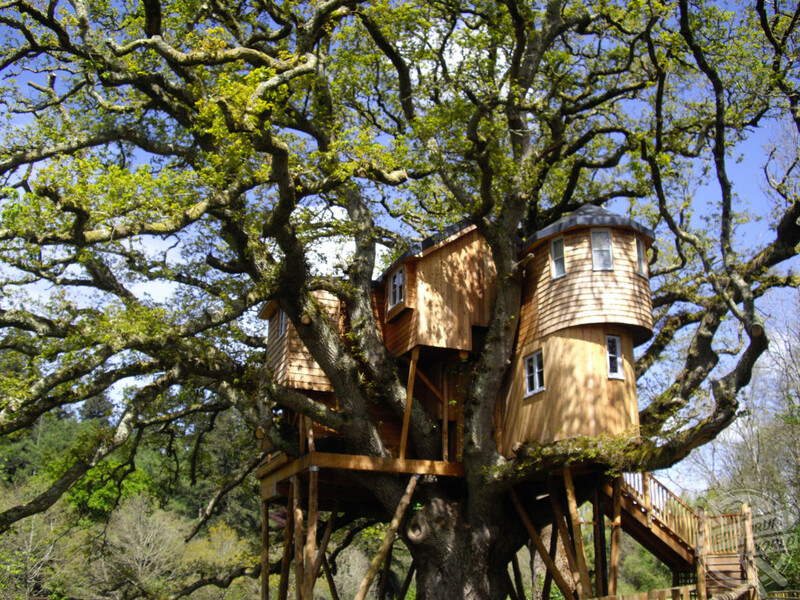 It was one of the first UK treehouses and is still the only true treehouse which can fit a family of four comfortably. 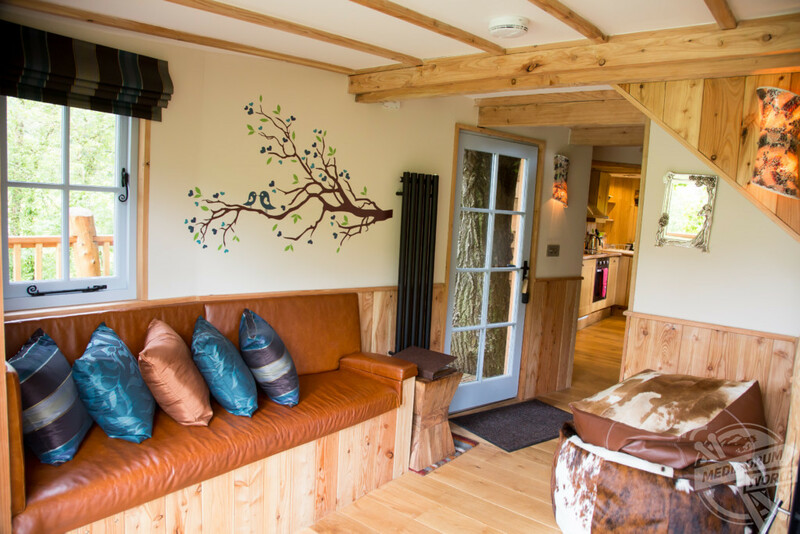 “The sofa seat in the lounge area actually hides a bough from the oak tree that the conservation order prevented from any pruning! 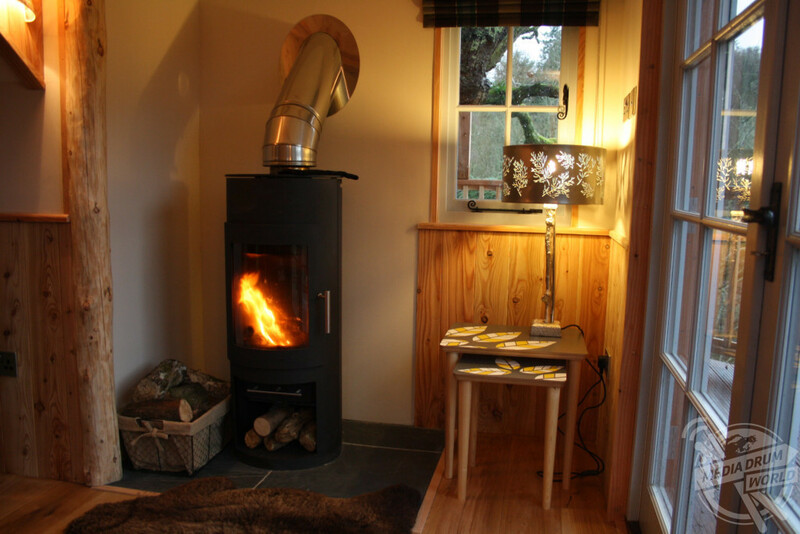 “The treehouse sits right next to a fishing lake to practice fly fishing before heading just 100 meters to the River Taw to fish for brown trout, salmon and sea trout.